Borobudur Temple is one of the greatest Buddhist monuments in the world, and was built in the 8th and 9th centuries AD during the reign of the Syailendra Dynasty. The temple was used until sometime between the 10th and 15th centuries when it was abandoned and buried by volcanic ash and jungle. Since its re-discovery in the 19th century, the monument was restored with UNESCO’s help in the 1970s. 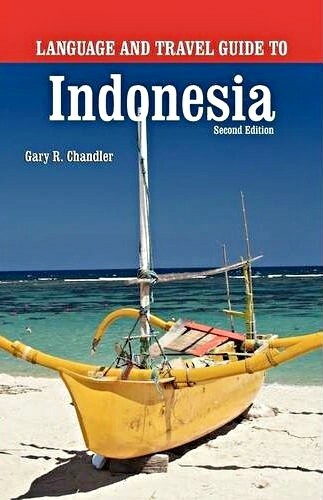 It’s located in the Kedu Valley, in the southern part of Central Java, Indonesia. Around the circular platforms are 72 stupas, each containing a statue of the sitting Buddha. The vertical division of Borobudur Temple into base, body, and superstructure perfectly accords with the conception of the Universe in Buddhist cosmology. The Borobudur compound consists of three monuments: the Borobudur Temple and two smaller temples situated to the east on a straight axis to Borobudur. Laid out in the form of a lotus, the sacred flower of Buddha, the compound reflects a blending of indigenous ancestor worship and the Buddhist concept of Nirvana. The 10 mounting terraces of the entire structure correspond to the successive stages that the Bodhisattva must achieve to attain Buddhahood. Borobudur was developed by a king of the Saliendra dynasty, it was built to honor the glory of both the Buddha and its founder, a true king Bodhisattva. The name Borobudur is believed to have been derived from the Sanskrit words vihara Buddha uhr, meaning the Buddhist monastery on the hill. Borobudur temple is about 42 km from Yogyakarta. This colossal temple was built between AD 750 and 842: 300 years before Cambodia’s Angkor Wat, 400 years before work had begun on the great European cathedrals. Little is known about its early history except that a huge army of workers worked in the tropical heat to shift and carve the 60,000 m3 of stone. At the beginning of the 11th century AD, because of the political situation in Central Java, divine monuments in that area, including the Borobudur Temple became completely neglected and given over to decay. 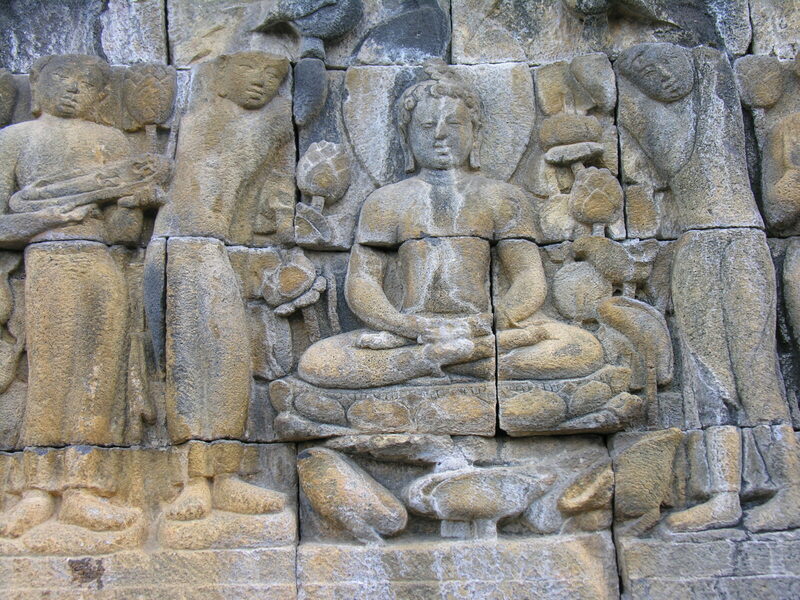 Stylistically the art of Borobudur is a convergence of Indian influences (Gupta and post-Gupta styles). The walls of Borobudur are sculptured in bas-reliefs, extending over a total length of 6 km. It has been hailed as the largest and most complete ensemble of Buddhist reliefs in the world, unsurpassed in artistic merit, each scene an individual masterpiece. The narratives reliefs on the main walls read from the right to left, those on the balustrade from left to right. This was done for the purpose of the Pradaksina, the ritual circumambulation which the pilgrims make moving on the clockwise and keeping the sanctuary to the right.